Anger Sunday trailed the killing of 40 students of College of Agriculture, Gujba, Yobe State, by gunmen suspected to belong to the outlawed Boko Haram sect. Scores of others were also injured in the early morning raid on the college by the gunmen who attacked the institution while their victims were sleeping. Another set of gunmen from the sect also killed seven others in Benisheikh, in Borno State, which was attacked two weeks ago during which 150 persons were killed in an ambush on the highway. Although 65 persons were said to have been killed by sources, the Yobe State Government confirmed the death of 40 persons. The attack, which came two months after a similar one on students of a boarding secondary school in Mamudo, near Potiskum, also Yobe State, that claimed the lives of no fewer than 29 schoolchildren, drew immediate condemnations from President Goodluck Jonathan, former Vice-President Atiku Abubakar and President of Christian Association of Nigeria (CAN), Pastor Ayo Oritsejafor. It was gathered that the gunmen crept into the college early yesterday morning when the students were still sleeping and headed straight to the dormitory. They were said to have shot sporadically at the students. The gunmen were also said to have set some structures in the school on fire and watched while the students battled to escape from the inferno. Some of the students were also said to have been killed in the fire while others sustained varying degree of injuries. Sources in the town told reporters that some of the students who sustained gunshot injuries and had fled into surrounding bushes died while they were fleeing and their bodies were found later in the day. According to a report by Reuters, the gunmen took some students outside before killing them and shot others trying to flee. "They started gathering students into groups outside, then they opened fire and killed one group and then moved onto the next group and killed them. It was so terrible," said one surviving student Idris, who would only give his first name. "They came with guns around 1 a.m. (2400 GMT) and went directly to the male hostel and opened fire on them ... The college is in the bush so the other students were running around helplessly as guns went off and some of them were shot down," said Ahmed Gujunba, a taxi driver who lives by the college. Bodies were recovered from dormitories, classrooms and outside in the undergrowth yesterday, a member of staff at the college, who asked not to be named, told Reuters. 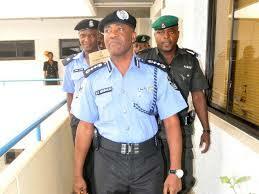 The state Commissioner of Police, Sanusi Rufai, said he suspected Boko Haram was behind the attack but gave no details. Yesterday’s attack came barely two weeks after the state government reopened public schools, which were earlier closed in July after the attack on the Potiskum boarding school. The state Governor, Alhaji Ibrahim Gaidam, had ordered the closure of all schools in the state in the wake of the July attacks on the secondary schools in Potiskum with a promise to build perimeter fences and deploy security in the schools. Though the schools were ordered opened recently, it was gathered that many of the schools were still without the perimeter fencing and adequate security contrary to what the governor had earlier promised. A security source told journalists that “the early morning assault was targeted at the College of Agriculture in the town of Gujba in Yobe State. It was carried out by Boko Haram terrorists who went into the school and opened fire on students while they were sleeping." The state government, in a statement by the Special Adviser to the governor on Press Affairs, Alhaji Abdullahi Bego, while confirming the killing of 40 persons, decried the attack on the college. The statement said: "Forty students were killed by criminals and terrorists while four others were injured during the attack. "On a visit Sunday to the injured who were hospitalised at the Sani Abacha Specialist Hospital, Damaturu, Governor Gaidam commiserated with families of the victims and prayed Almighty Allah to make the injured recover quickly. The governor also says the Yobe State Government will foot the bill for medical treatment for the injured." The governor called on the military and other law enforcement agents to intensify surveillance and patrols to deal more effectively with the prevailing security challenges in the state. Jonathan in his remarks at the 53rd independence anniversary interdenominational church service in Abuja, bemoaned the brutal killing of the students and described the act as ‘quite depressing’. According to the president, given the devastating nature of the Yobe murder, he has been lost of words since the incident occurred. The president, who took the second reading of the day from Matthew 14: 23-33, said: “Today (yesterday), I must not say much, if you were in my shoes, you will lack what to say; if you were in my shoes, you may lack words. We had this programme in mind before we went to bed last night; we planned to come here today (yesterday) to thank God but around 12am, about 21 students were murdered in Yobe State by a group that described themselves as Boko Haram. If you are in my shoes, what courage will you have to stand here before Nigerians? What massage will you give to the parents of the deceased? Will you say that the killing is political? The president attributed the killings going on in the country to the handiwork of the devil in his bid to slow down the pace of development of the nation. “We will make sure we conduct free and fair elections even though the forces of darkness do not want that; they want to continue to impose themselves on us. The forces of evil may continue to push us backward but we will overcome our challenges. As we look forward to the centenary celebration, there are questions whether Lord Lugard made a mistake by amalgamating the Northern and Southern Nigeria but we know that God does not make any mistake,” he added. Urging the people to keep hope alive on Nigeria, the president was quick to state that the current security challenges confronting the country and the opposition to his government were to distract his administration from focusing on development issues. The CAN president, who commended the efforts of security agencies in the fight against terrorism, urged them to do more in fishing out bad eggs among the military and other security establishment who feed terrorists with critical information. He decried the suffering inflicted on victims of Boko Haram, stating that “they are traumatised, victimised; in fact, I don’t have enough words to describe their situation,” he told the congregation. Speaking on the Yobe killings, Oritsejafor said with the ongoing Boko Haram attacks in northern Nigeria, about 10,000 Nigerians are now refugees within and outside Nigeria. Also reacting to the Yobe killing, Atiku yesterday described the incident as "senseless and tragic," saying it casts a "horrible image" on the events marking the 53rd National Day anniversary. According to the former vice-president, “As a father, I am deeply saddened by these senseless murders. These were young Nigerians studying agriculture with a goal of helping to feed our nation. “We must urgently review our strategy for confronting these cowards. The murders at the Gujba College of Agriculture are further proofs we need to rethink how we provide security for our nation. In another attack by the sect at the weekend, Benisheikh, in Borno State, which was attacked two weeks ago during which 150 persons were killed in an ambush, was attacked again on Saturday evening. In the latest attack, seven persons were said to have been killed with three vehicles, including a truck, burnt down. Motorists were compelled to either return to Damaturu or Maiduguri as the highway was closed with the road totally barricaded. It was also gathered that the sect members after barricading the Maiduguri-Damaturu Road, at about 5:27pm, started killing their victims in Mallumti village. They were however confronted by vigilante youths a.k.a Civilian JTF, who succeeded in killing three of the sect members and some of them had to flee into the bush. A lucky driver, Mallam Usman Garba, who escaped into the bush upon sighting the terrorists, and managed to make a U-turn back to Damaturu with his passengers narrated his ordeal on the highway. “I have to give thanks to Allah (God) for sparing our lives yesterday (Saturday), we could have run into the terrorists who slaughtered people in Mallumti village, but when I sighted them barricading the road, I quickly made a U-turn and went back to Damaturu with my passengers. We had to sleep in Damaturu before coming to Maiduguri Motor Park this morning (yesterday),” he said.